This weekend has been full of birthday fun. 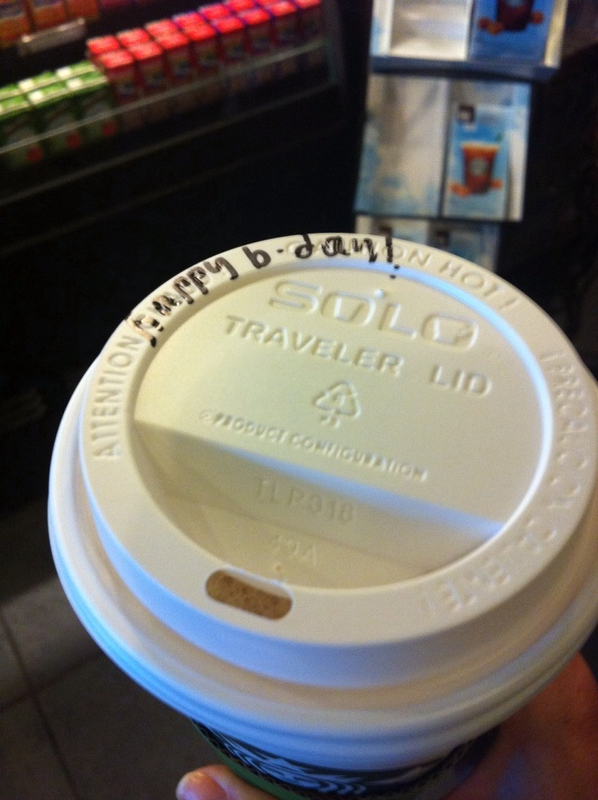 Rob and I had to end up working on my birthday, but my girls Abby and Amanda made sure it was still a special day. 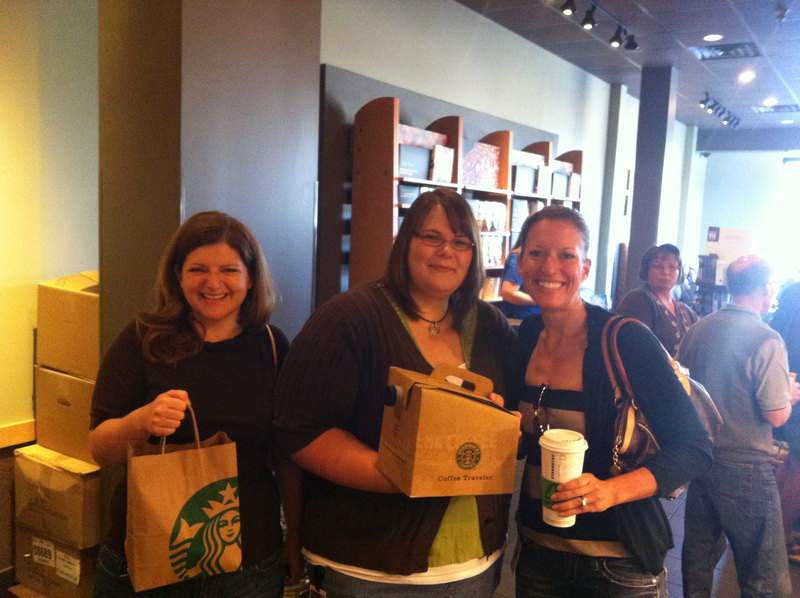 I picked up snacks for my new team to celebrate my birthday and of course made a stop at Starbucks when I ran into Abby and Amanda. They were picking up a box of coffee for me to share with my co-workers. Yay! Abby and Amanda even brought me in treats to share with my co-workers. Amanda brought in cubed watermelon and Abby made the Hungry Girl Pumpkin Muffins (recipe in nutrition page), but with her own cool spin. She did mini-muffins so they were tiny bites of awesome. Thanks girls!! You are the best!! After a long day at work Rob and I relaxed with an amazing dinner at Biaggis where we see our favorite waiter ever, Jeremy. 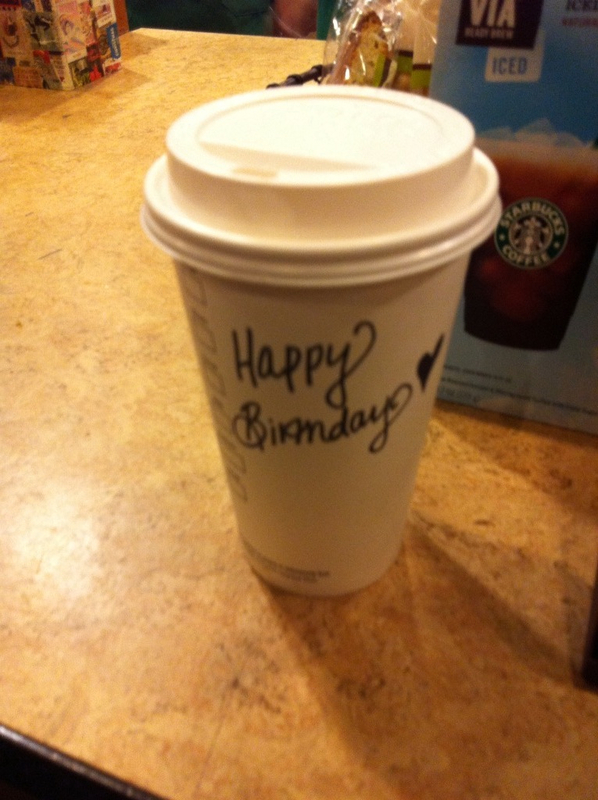 Then it was time for another Starbucks ala bday style, thanks Cassie and Brooke! 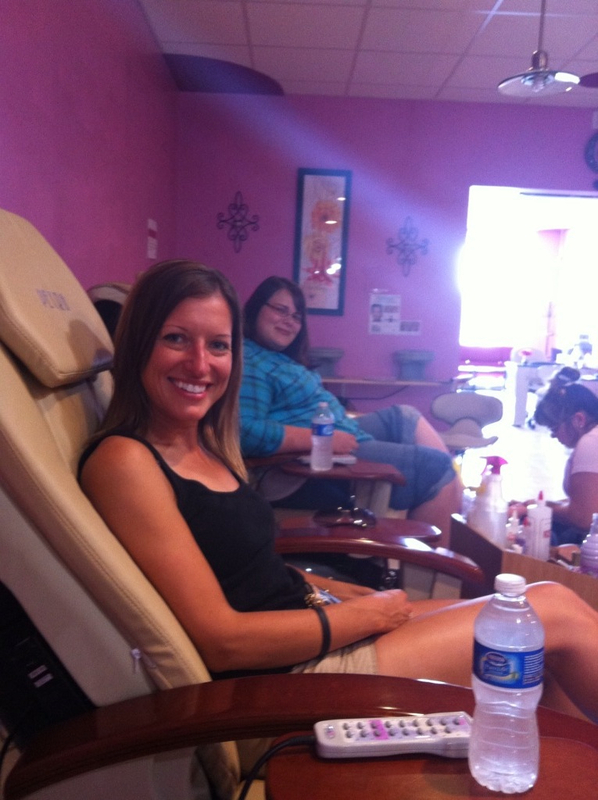 Saturday us girls went out for Thai food and then for mani/pedis. I was in desperate need of some polishing. 🙂 Thanks girls for spoiling me! You are too sweet!!! Rob and I then went to Peoria, IL to register for a half marathon race on Sunday and then had dinner at Jona’s Oyster Bar. We had oysters, grilled white fish and red beans and rice. It was so delish!! Up next a race report!! Fun, fun, fun! I’m glad you enjoyed your day! Awe you look too cute! I love it. I’m glad you had such a good birthday! wow that was a fun Saturday! Glad you had a great birthday, and a great race on Sunday!! Eeeh!